Mayor Sharon Gaetz presents Bike to Work Week winner Darrell Lahay with his brand new Kona bicycle and safety helmet at City Hall. arrell Lahay is the winner of the 'Bike to Work' week raffle for the City of Chilliwack's annual challenge. Darrell takes his sustainable commute to work seriously, by jogging or cycling between Fairfield Island and Yarrow every weekday. Darrell can now commute on a 'Kona Dew' bike, courtesy of Jack's Cycle and the City of Chilliwack. 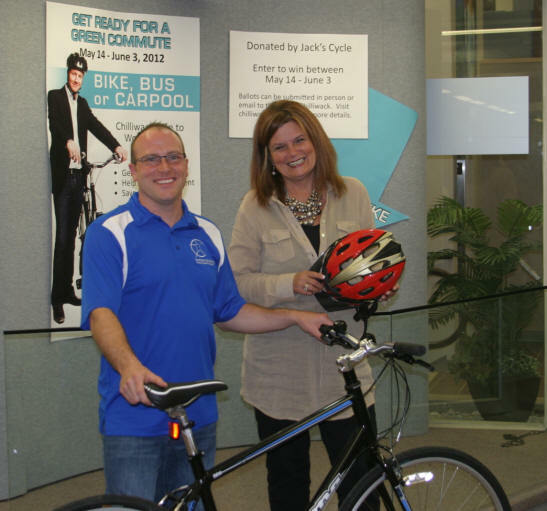 "The purpose of the Bike to Work challenge is to encourage residents to try out different means of getting to and from work or school," says Mayor Sharon Gaetz. "Sustainable commutes create less pollution and help promote active lifestyles." The Bike to Work Challenge has two components; one for the public/community and the second as an interdepartmental challenge for City staff. Anyone from the public, who participated, could enter the draw for a new bike. People could make one draw entry every day they commuted sustainably over the two week period. Ballots were accepted online, by mail or in person at City Hall. This year we received a total of 626 entries from the public: 366 online ballots and 260 paper ballots were received. This year's interdepartmental challenge was a resounding success and saw 82 participants log a total of over 1885 kilometers of sustainable commuting and 7537 kilometers of the fitness challenge component. 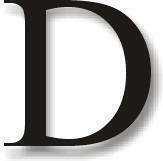 The department with the highest participation rate was the Engineering department, with 100 percent.